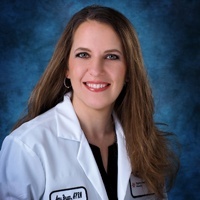 Dignity Health Medical Group Nevada welcomes Amy Bryan, nurse practitioner, to practice at its Peccole Plaza location. The primary care clinic is located at 8689 W. Charleston Blvd., Suite 105 and is currently accepting new and returning patients, with most insurance accepted. 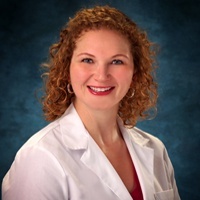 Dignity Health Medical Group Nevada welcomes Stefanie Remson, nurse practitioner, to practice at its southwest location. The primary care clinic is located at 8205 W. Warm Springs Rd., Suite 210 and is currently accepting new and returning patients, with most types of insurance accepted. 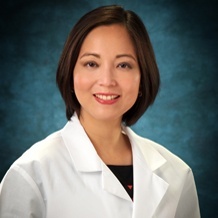 Dignity Health Medical Group Nevada (DHMG), affiliated with the Dignity Health - St. Rose Dominican hospital system, welcomes Dr. Meg De Leon and Dr. Jennifer Dalrymple, family medicine physicians, and Dr. Joseph De Leon, internal medicine physician. Dignity Health Medical Group now offers an Online Patient Center for our patients! You or a designated family member can view your health records and communicate by e-mail with your personal physician. The Dignity Health Medical Group Online Patient Center provides a convenient, secure, and electronic way for you to access your clinic visit records (as well as your St. Rose Dominican hospital information). You can also communicate with your Dignity Health Medical Group care team. All you need is Internet access and an e-mail address. 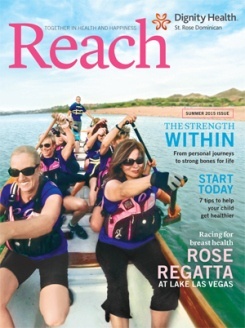 With the Summer 2015 issue of St. Rose’s quarterly magazine, we are launching the inaugural edition of Reach, formerly WomensCare magazine. After talking with local men and women in focus groups, we found that first, the name WomensCare made it appear the publication was not pertinent to men, which isn’t the case, and second, while people really like our articles, they would prefer that they are shorter and that we cover broader health and wellness topics. What Causes Allergies at Home? Dust, dander, pollen, mold – our homes may contain a number of allergens that can make our families sick. It's important to know what causes allergies around your home so you can create a healthier living space. To keep your home clean and free of allergens, start with these tips.